In face of disputes, no matter we turn to the official national authority system or the civil one, these systems themselves need a process of development. 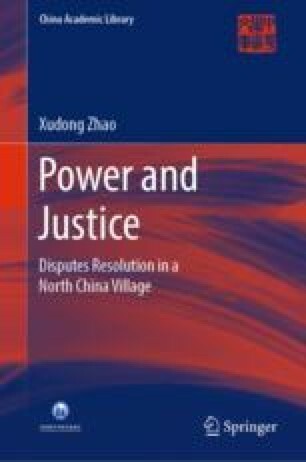 The description of this process perhaps helps us to get an in-depth understanding of power relations in rural society to facilitate the effective solution of disputes. We functionalist anthropologists are not really “antihistorical” by principle; it is simply that we do not know how to fit historical materials into our framework of concepts.